My life, under the microscope...: predators galore! It's been interesting lately. 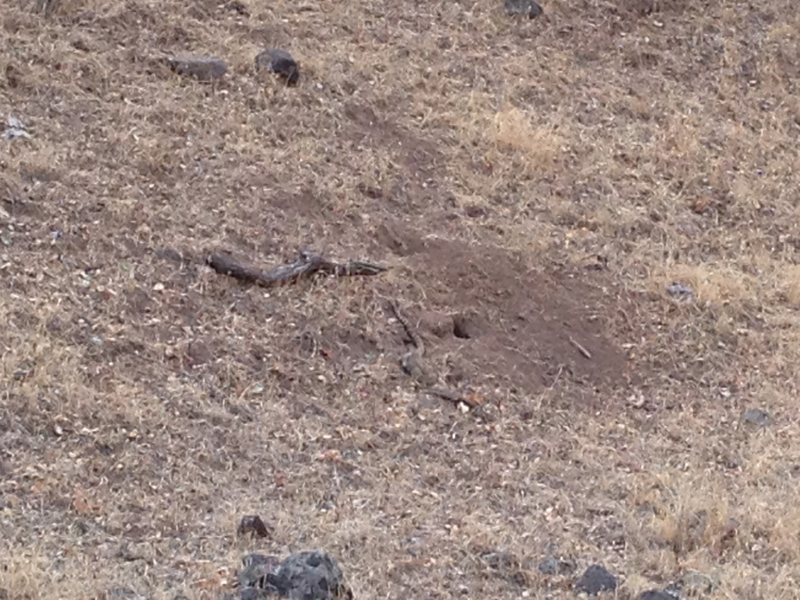 I knew there are rattlesnakes here but I hadn't seen one yet. 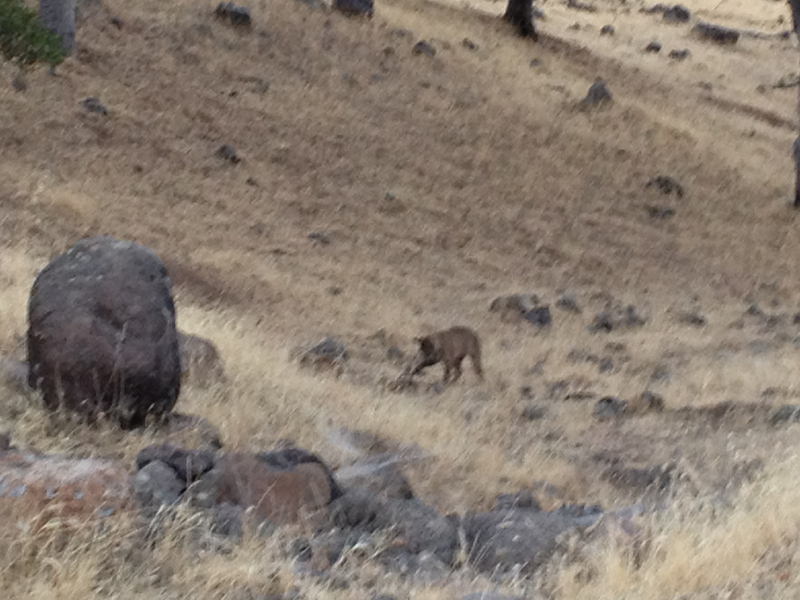 I hear coyotes at night pretty often. On Thursday afternoon last week, coming back from running some errands with Jen, we were driving up the driveway when a smallish critter darted across the road in front of her truck. 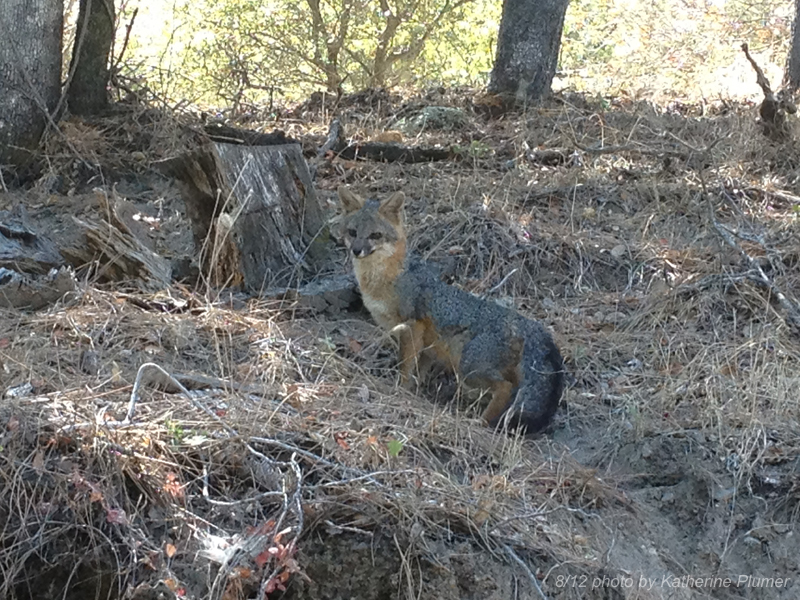 It was a young gray fox! Amazingly it stood still next to the road long enough for me to whip out my trusty phone and take this actually halfway decent photo. Cute little thing, I've never seen one before, but I hope it stays down the hill and doesn't come up to pester the poultry. Last night, I went out for my walk hike again. Remember that rattlesnake? Well, it's not a threat anymore... As I rounded the bend I was completely shocked to see two bobcats playing tug-of-war with the rattlesnake... It was one of those "OMG, WTF" moments and it took a few seconds to realize what I was looking at. I scrambled to take a pic on my phone, which turned out crappy, so I quietly backed up and sprinted back to get my big camera (yes, me sprinting, it shocks me too). By the time I got back down there, I didn't see any sign of the cats, and snake was not exactly feeling well. I'll spare you the bloody pic of the snake. 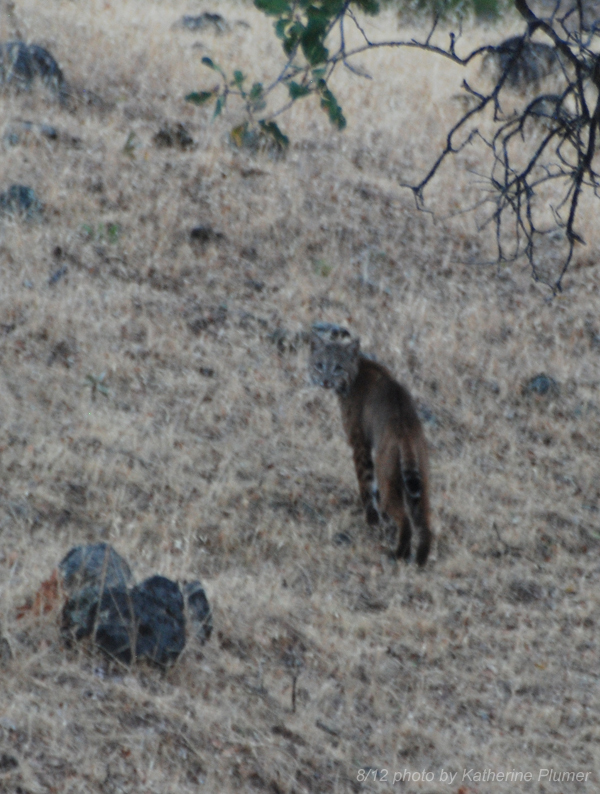 As I walked toward the snake, this bobcat popped up from behind a rock in front of me and ran off. I managed to get only this one half-way decent photo. The others were too blurry, it was fairly dark at that point. So, wow. On one hand, wildlife yay! On the other hand, it seems like we are seeing a lot of predators lately, and that's worrisome for the poultry, cats, etc. Don't get me wrong, I know that wildlife was here first, and I have a great deal of respect for the wild critters (though I could really do without the squirrels and snakes, and wasps, and really enormous spiders), but it's a real wakeup call to make the coops everything-proof. For those of you who think I should let Olin outside, this is one of the reasons I'm not going to do that!